"Scouting's Journey to Excellence" is the BSA's council performance recognition program designed to encourage and reward success, and measure the performance of our units, districts, and councils. 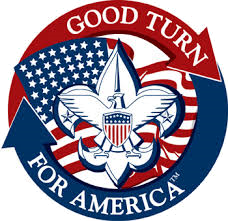 It is meant to encourage excellence in providing a quality program at all levels of the BSA. Units are encouraged to report their service projects on the Journey to Excellence website. This helps provide the community an accurate report on the great service and dedication our Scouts are showing throughout the Black Swamp Area Council. Units should submit advancements online monthly, or more often if needed. At the end of the year, make sure all advancements are submitted by December 31 so proper Journey to Excellence (JTE) advancement statistics will be accurate for your unit and district. If you have any questions or problems with your My.Scouting password, contact the national help desk at (972) 580-2489. If you have any questions or problems with internet advancement, please visit the BSA internet advancement website, or contact Heather Giesey at heather.giesey@scouting.org or (419) 422-4356 ext. 127. For questions, contact your unit commissioner or your district commissioner.